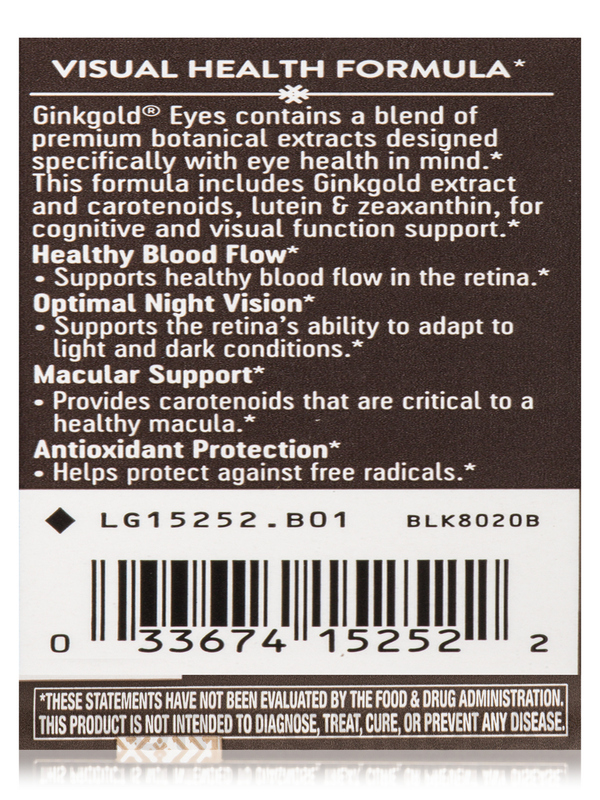 Support healthy microcirculation and improve the health of your eyes with Ginkgold® Eyes Plus 20 mg Lutein - 60 Tablets from Nature’s Way®. 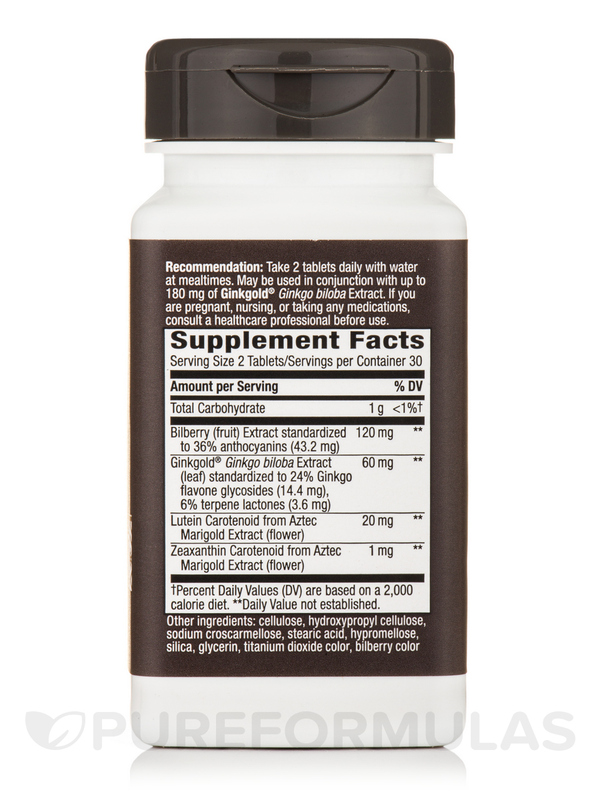 This dietary supplement may also strengthen capillaries and maintain healthy connective tissues to enhance retinal function. 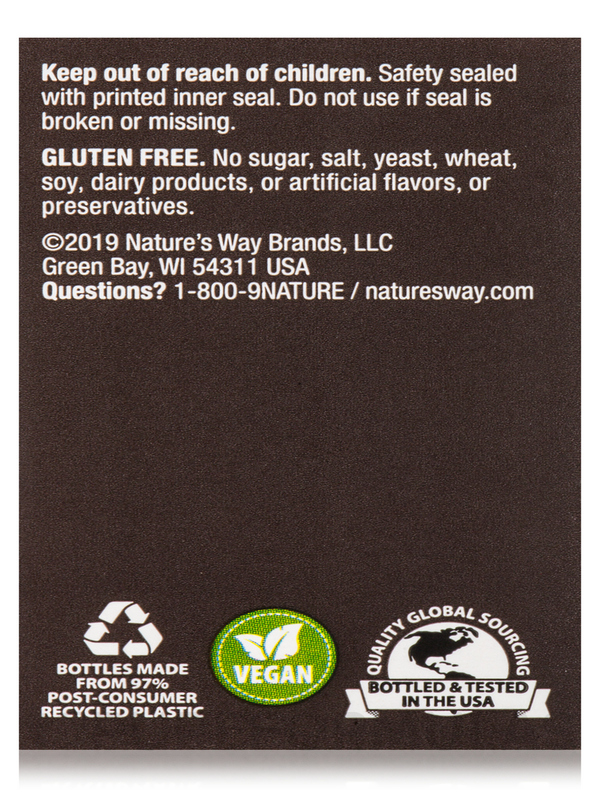 Vaccinium Myrtillus or bilberry extract‚ with anthocyanins‚ reportedly has powerful antioxidant and anti-inflammatory properties. 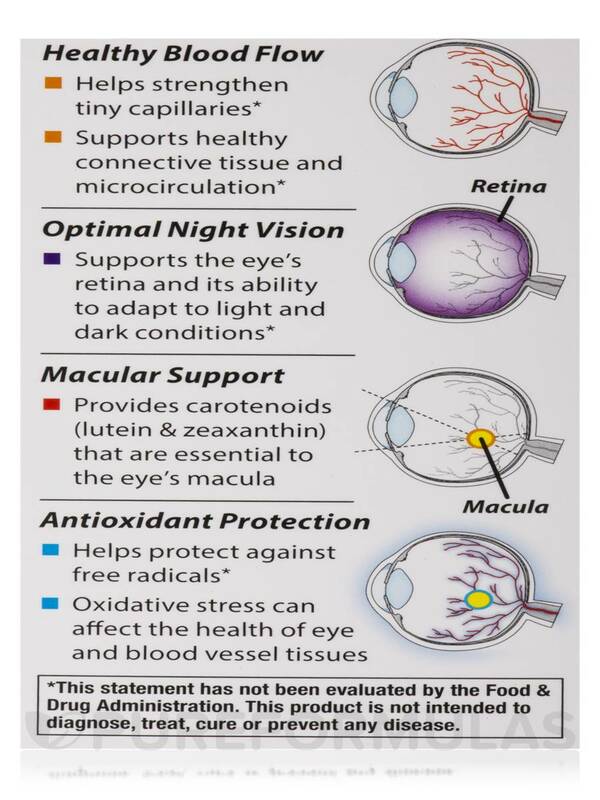 It may promote night vision‚ boost microcirculation‚ keep away retinal conditions‚ and improve eyesight too. 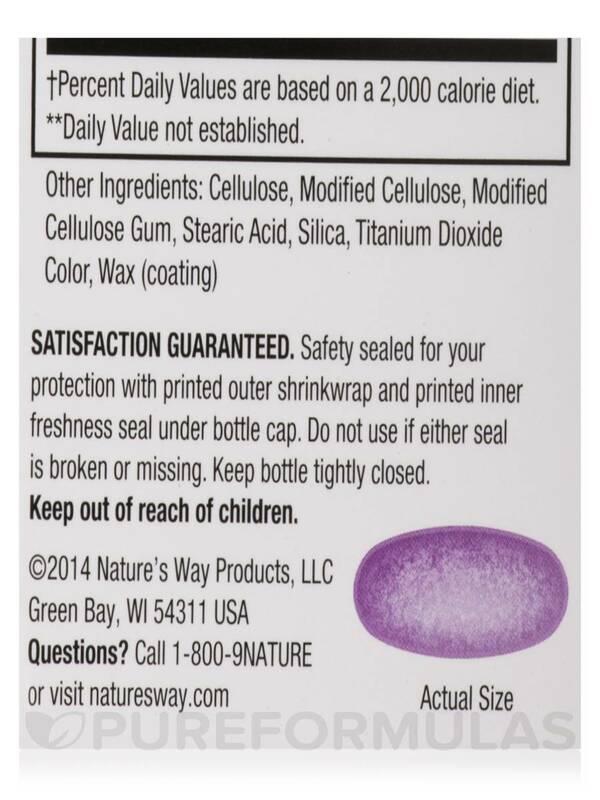 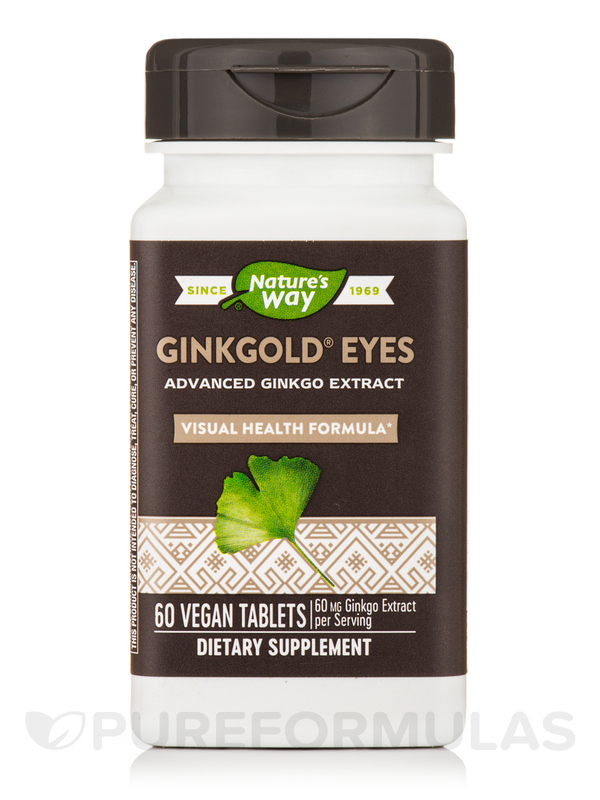 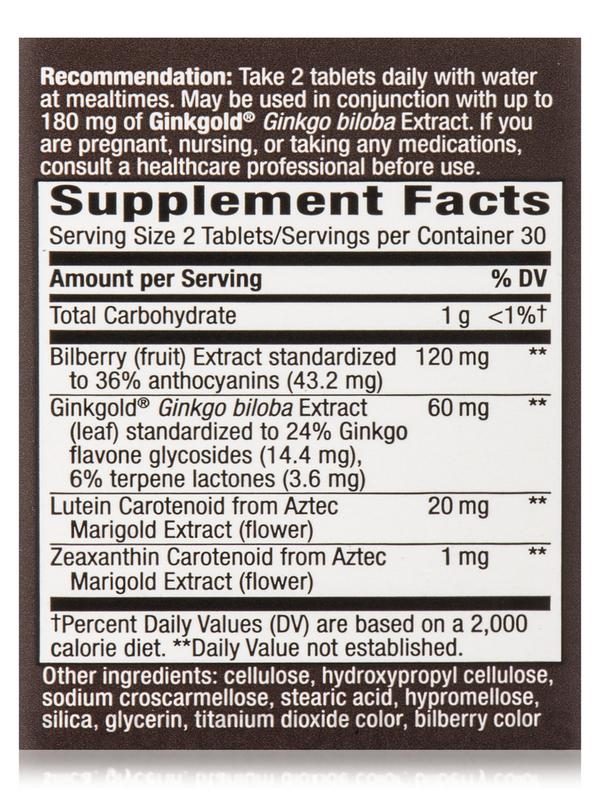 Ginkgo Biloba or ginkgo extract in this dietary supplement from Nature’s Way® could potentially increase blood flow in your eyes‚ alleviate eye pressure‚ and protect visual field from damage. 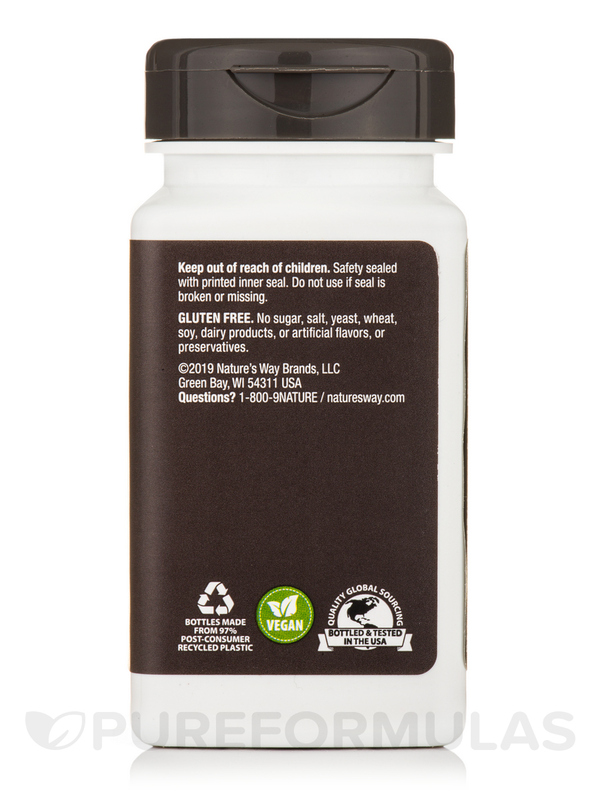 It may reduce eye conditions associated with elevated blood sugar levels and keep away age-related macular degeneration too. 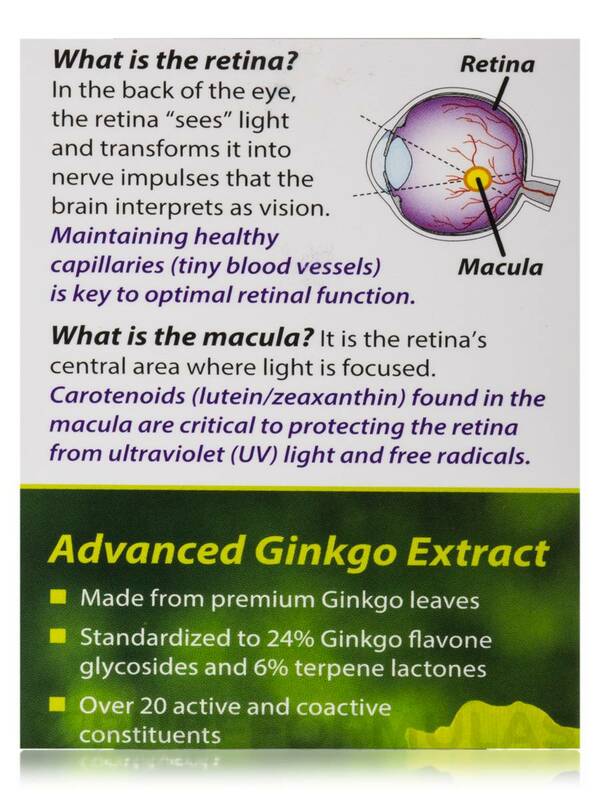 Ginkgo reportedly improves long-distance vision and reverses damage to the retina of your eyes. 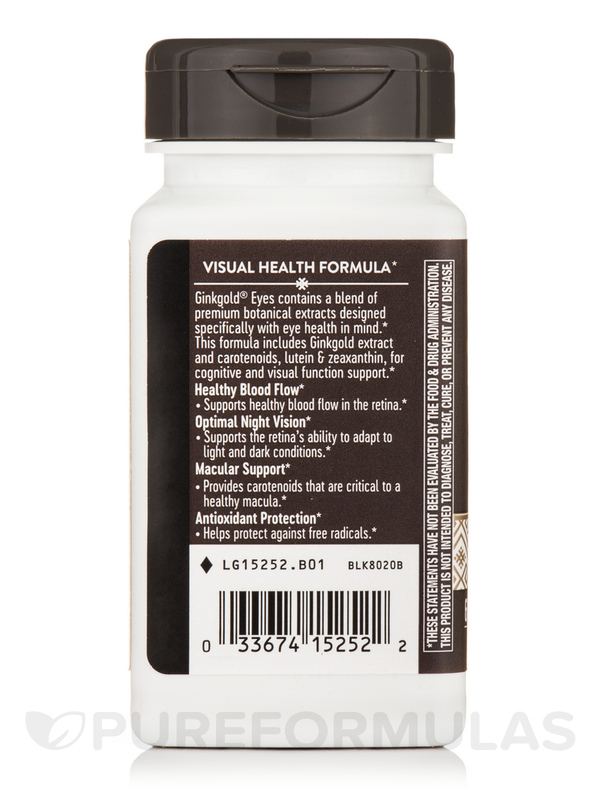 Lutein and zeaxanthin carotenoids from marigold flower extract help reduce clouding of the lens inside your eyes and support healthy vision. 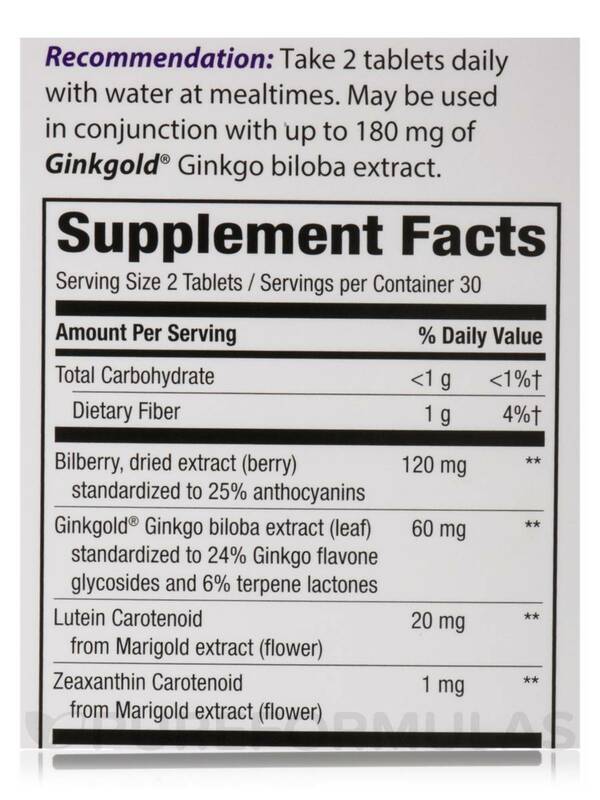 These carotenoids in Ginkgold® Eyes Plus 20 mg Lutein - 60 Tablets from Nature’s Way® may also destroy harmful free radicals and guard eye tissues against sun damage.